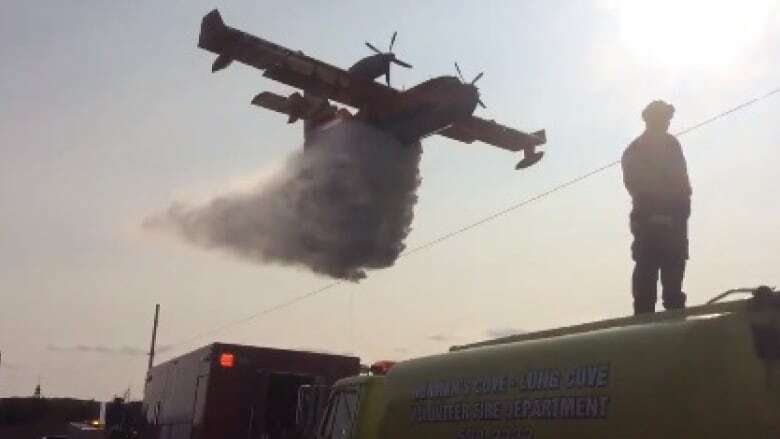 A pair of forest fires in central and southeast parts of Newfoundland had water bombers scrambling on Saturday. The first fire broke out near Fairhaven on the island's southeast coast. Members of the Norman's Cove, Bellevue and Fairhaven fire departments were on scene for a period of time to assist in clearing traffic. According to emergency response chief Gary Rideout, the fire was caused as a result of a broken hydro line. In the central region of the island, a forest fire was spotted about six kilometres south of Grand Falls-Windsor. Fire chief Vince MacKenzie said a water bomber made several drops before sunset on Saturday and, at last word, the fire was moving away from the town. MacKenzie warned people in the area of Nugent's Pond to be aware of the nearby fire and "plan for safety."